A classic roller shade is sometimes all you'll need. 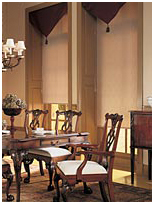 Room - darkening roller shades are simple, effective, and economical. They are not only private, but also blackout most light. Roller window coverings are available in the light-filtering or room-darkening variety, raise and lower in one smooth, easy motion. 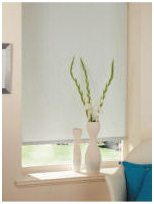 Use alone or with complimentary window treatments.ic roller shade is sometimes all you'll need. 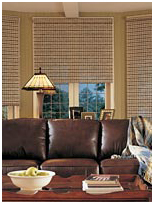 Room - darkening roller shades are simple, effective, and economical. They are not only private, but also blackout most light. Roller window coverings are available in the light-filtering or room-darkening variety, raise and lower in one smooth, easy motion. Use alone or with complimentary window treatments.